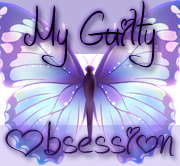 ~~My Guilty Obsession~~: WoW Pick of the Week! I am a huge CoHo fan so it's no wonder I'm excited about her release coming up in August, yes sadly August, months away but I'm posting about it anyways because it's CoHo people! She truly is one of the few authors I read in this genre anymore for whatever reason. Even though I know I will get lots of angst and more than likely lots of drama, I can't help myself, I love her anyways. So what about you, are you a CoHo fan? Lily hasn’t always had it easy, but that’s never stopped her from working hard for the life she wants. She’s come a long way from the small town in Maine where she grew up. She graduated from college, moved to Boston, and started her own business. 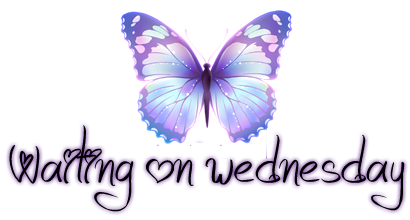 So when she feels a spark with a gorgeous neurosurgeon named Ryle Kincaid everything in Lily’s life suddenly seems almost too good to be true. With this bold and deeply personal novel Colleen Hoover delivers a heart-wrenching story that breaks exciting new ground for her as a writer. 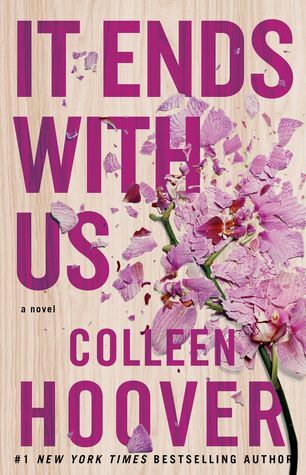 Combining a captivating romance with a cast of all too human characters, “It Ends with Us” is an unforgettable tale of love that comes at the ultimate price. I like this cover a lot! Though not going to lie, that summary scares me a little bit. I'm going to wait for others to read it first. Uh I'm getting a bit of Fifty Shades of Grey vibe via Ryle. His dating aversion immediately made me think of Christian. Not completely sure why since I only saw the movie. But I believe Colleen has a very different story in mind here. I remember how much you enjoy Hoover's books so I hope you love this one as well, Ali. If I was to try one, do you have a favorite to recommend? I loved Slammed, I've loved all her books but that one was pretty darn good. I haven't read them all but I've heard Hopeless is fantastic too. No she isn't so I understand. You do have to prepare yourself going into them. This one sounds like it has a love triangle so I'm hesitant but I love Colleen Hoover! I'm really hoping it doesn't but if anyone can pull one off, she can! I still haven't read a Colleen Hoover book! I know, that's pathetic and sad. Oh man, read one Candace! I still need to read something by this author. I know, it's ridiculous! haha I'll find time soon. I still haven't read any of her books. I don't know why not. I hope you enjoy reading this book, Ali. Thanks for stopping by My WoW earlier. I am hit or miss wiht COHO, but I am hoping I will love this one like I did November 9. I hope you do as well, that we both do! Hope we both love it! It is a bright cover. Great pick! I need to read the rest of CoHo's books. Oh yeah, I've seen this around. 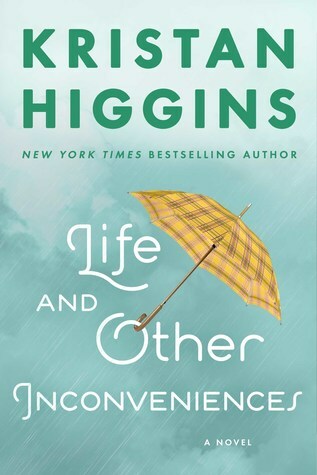 The last couple of books that I'Ve read by CoHo, I haven't enjoyed, but I do want to try this one... what to do??? I've heard a lot of people say that, I'm hoping this will be a good one and more people will like it. Oh Lord. Another heartbreaker from Ms. Hoover. Gah. So looking forward to reading this! YESSSS!!! I love CoHo. I can't wait for this one. I still need to read Novemeber 9 though. At least I have some time before this one comes out. Fantastic pick!!! I really liked November 9 so I hope you do too! I know, I need to catch up on them all! I've not tried her but I know a number of ladies who adore her books. I have yet to find a novel by Colleen that just grabs me. But I keep trying. I'm more likely than not gonna give this one a try!